Peter J. Lewis, who died Saturday, provided the sole funding for several entities pushing for the legalization of pot. COLUMBUS, Ohio – With the death of Cleveland billionaire and philanthropist Peter B. Lewis, the push for relaxed U.S. marijuana laws lost its most generous supporter. That’s left supporters wondering what comes next. 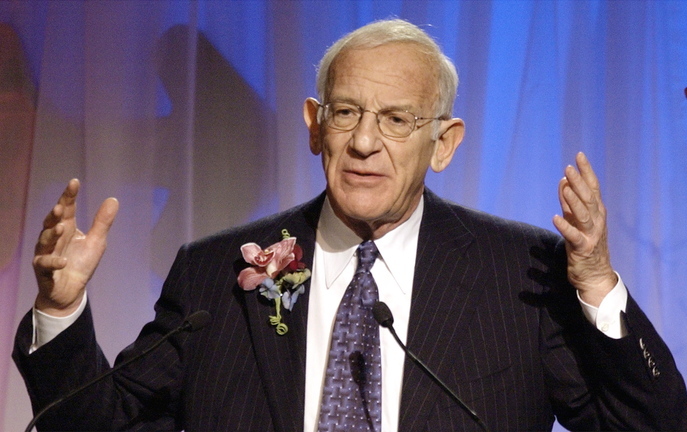 Lewis, chairman of Progressive Insurance, died Saturday at age 80. Since the 1980s, he had donated an estimated $40 million to $60 million to marijuana law reform – including underwriting ballot campaigns, research, political polling and legal defense efforts. Largely through Lewis’ efforts, and those of several other billionaires, 20 states since 1996 have passed medical marijuana laws, including Maine, 17 have decriminalized the drug and two have passed legalization language. This month, Portland voters approved a referendum to legalize possession of a small amount of marijuana. Allen St. Pierre, executive director of the National Organization for the Reform of Marijuana Laws, said organizations that relied on Lewis’ largesse will almost certainly need to build new fundraising structures if they want to carry on. Those include some 25 nonprofit groups that have grown up around the medical marijuana and marijuana legalization questions. “For this epoch, from 1995 to 2013, there’s no peer on the Earth regarding who put money up for marijuana law reform,” St. Pierre said. St. Pierre calls that a bittersweet state of affairs for the cause he shared with Lewis – the sweet being because Lewis was so reliably generous and bitter because he believes Lewis’ deep pockets made others complacent. She named billionaires George Soros, George Zimmer of Men’s Warehouse and Phoenix University CEO John Sperling among those who will carry on. A key element of Lewis’ reform efforts was the funding of $7 million provided for the American Civil Liberties Union’s drug litigation task force, St. Pierre said. That was on top of tens of millions of dollars given to the ACLU in general support. She said Lewis’ efforts may very well carry on through his family. “The good thing to know is that his family – his wife, former wife Toby, all the children – all extremely charitable and all have exhibited degrees of interest in his issues,” she said.